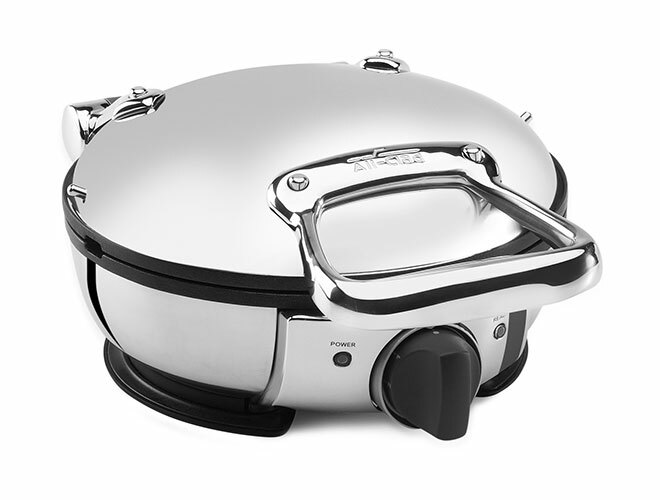 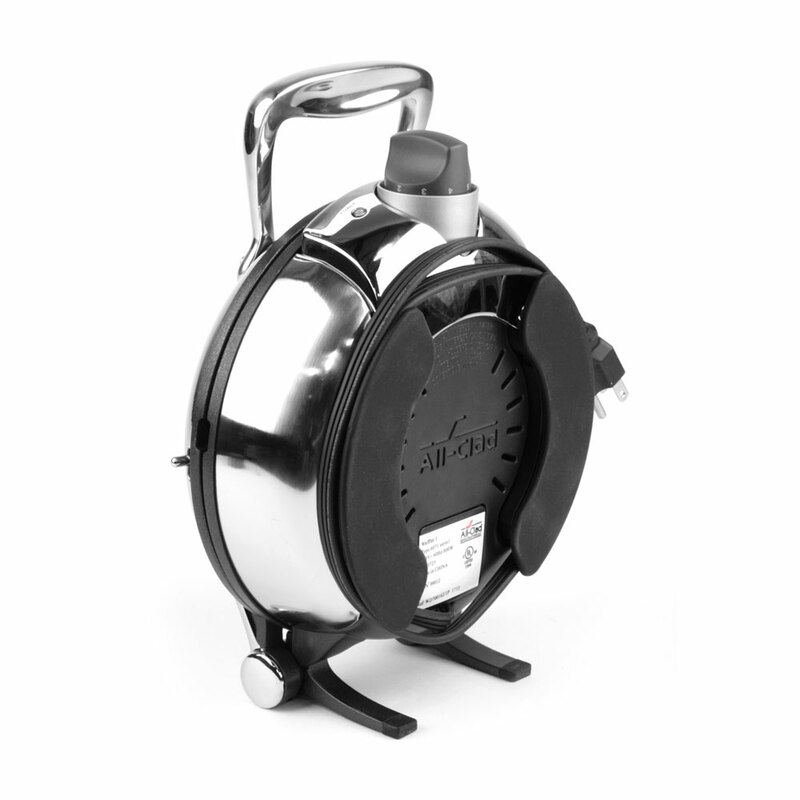 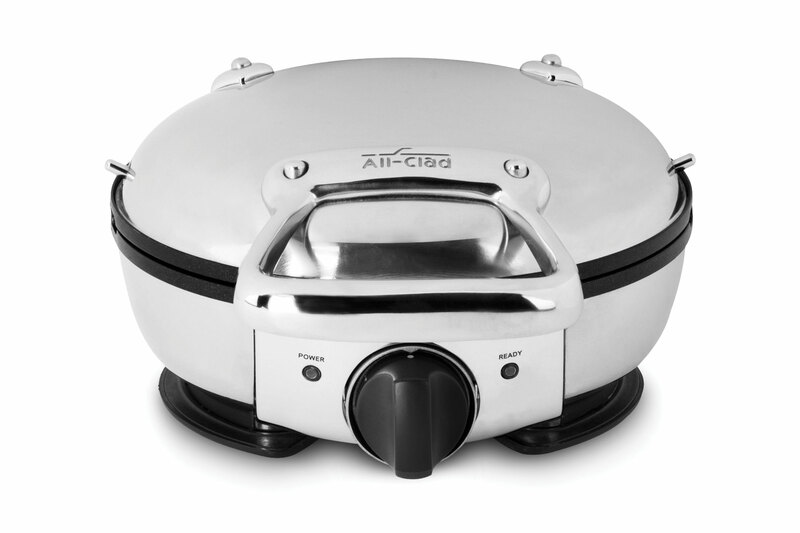 The All-Clad Classic Round Waffle Maker cooks up 1/2-inch thick, 6.5-inch round waffles that are crispy on the outside and fluffy on the inside. 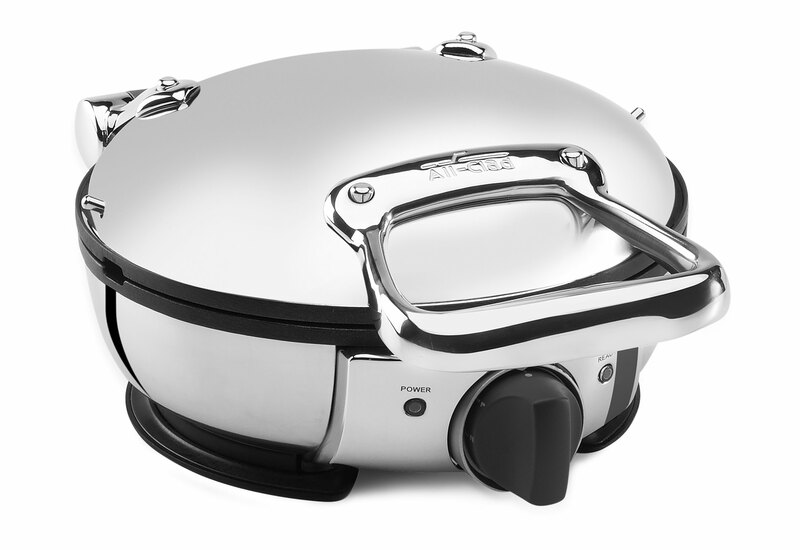 Features advanced heating technology for consistent browning. 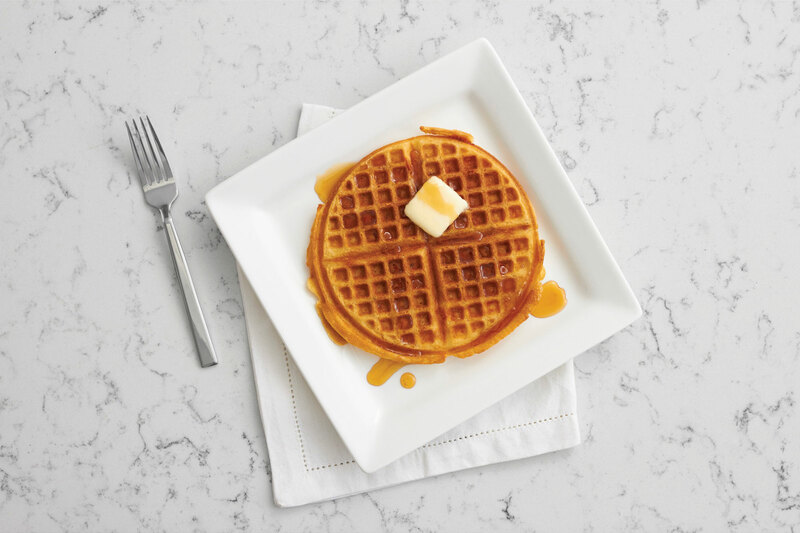 The steam-release system prevents condensation buildup as waffles bake so waffles are extra crispy. 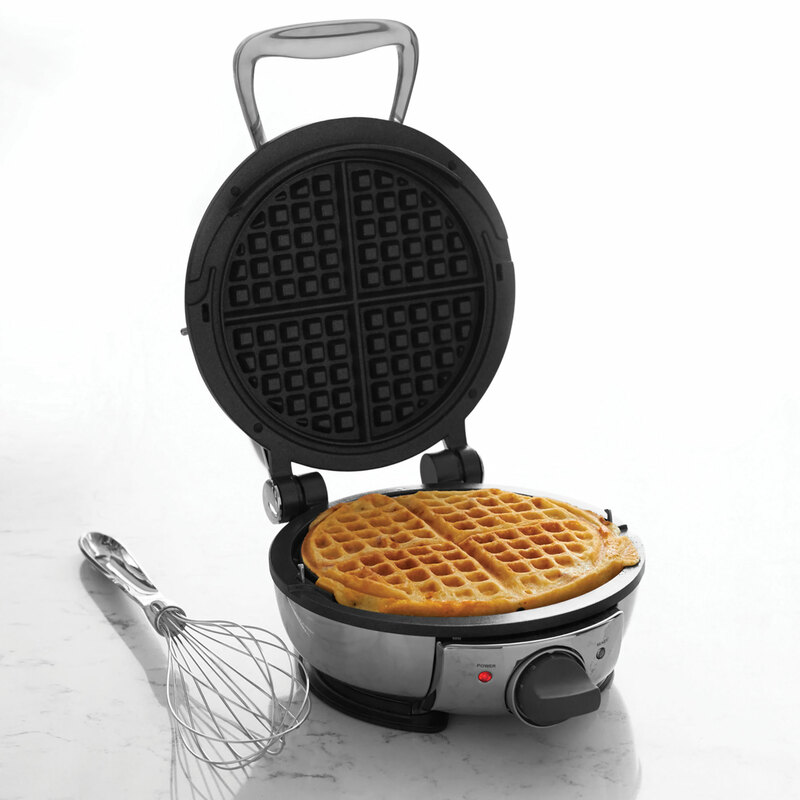 The ready-light shows when to add batter and audible signal indicates when waffles are ready, by choosing from 7 browning levels. 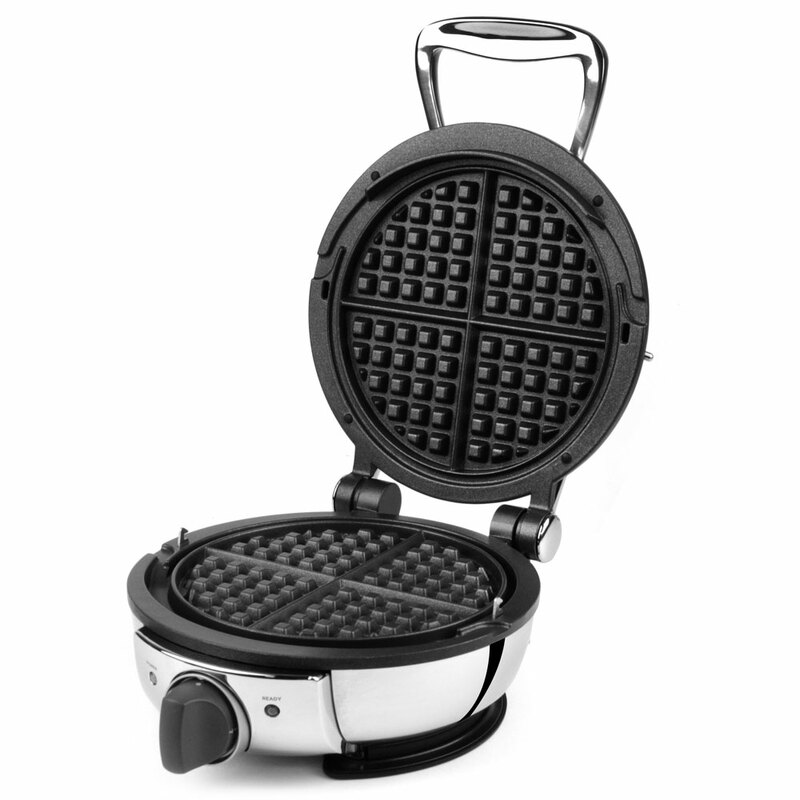 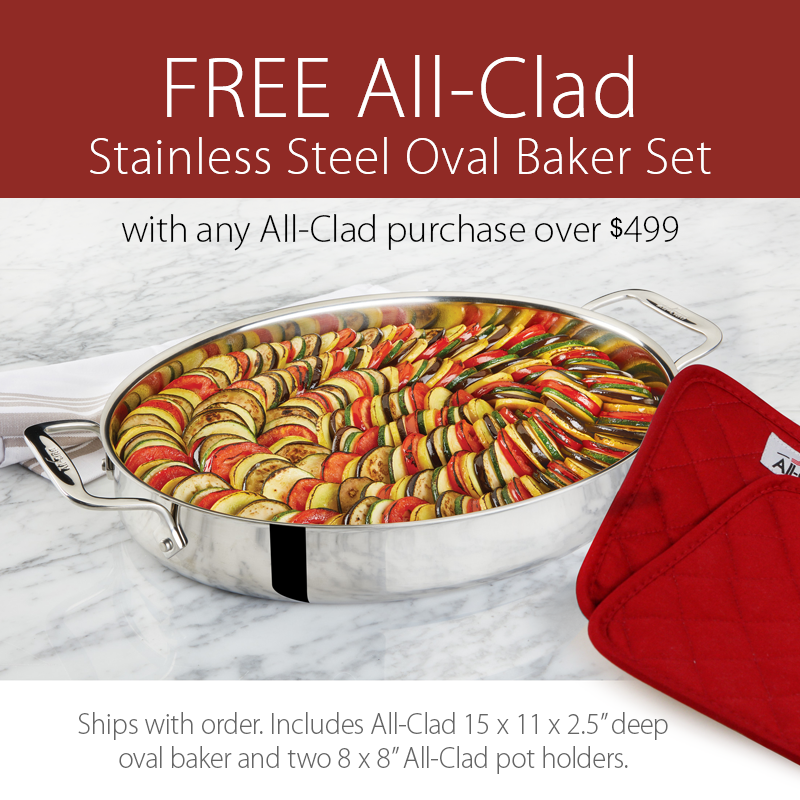 Features a nonstick interior for easy release and easy clean-up. 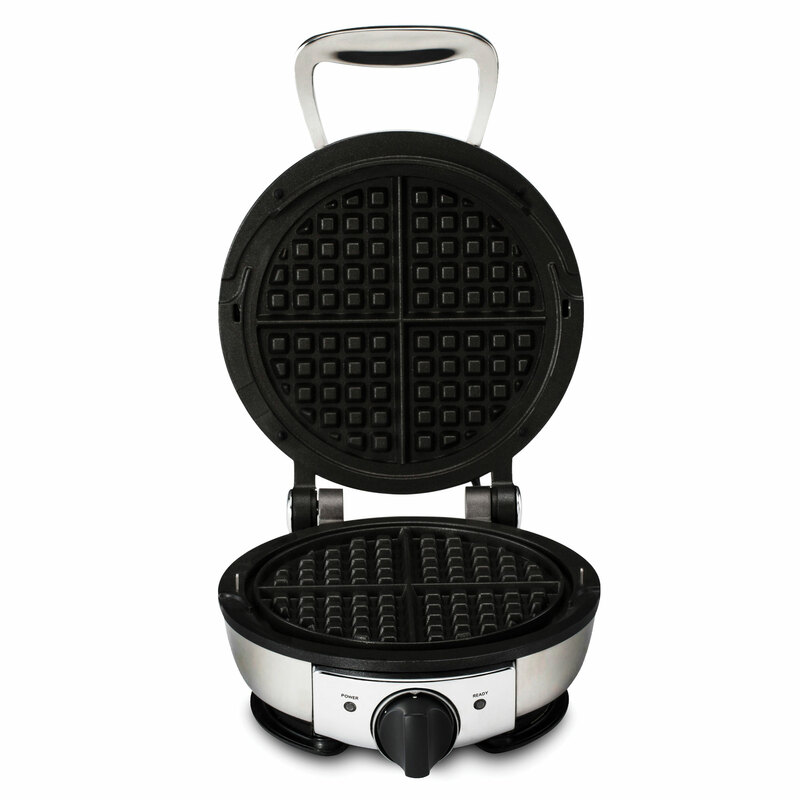 The waffle maker is able to store away standing vertically and features an integrated cord storage.